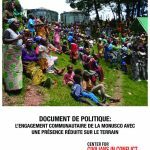 Can MONUSCO Maintain Innovative Community Engagement Practices? In our VOICES blog, we share regular updates from our global programs, including CIVIC’s Peacekeeping Team. This piece was written by CIVIC Peacekeeping Associate Bénédicte Aboul-Nasr, with input from Peacekeeping Advisor Lauren Spink and Peacekeeping Director Alison Giffen. UN Member States are in the process of negotiating the budgets of UN peacekeeping operations, including the United Nations Organization Stabilization Mission in the Democratic Republic of Congo (MONUSCO). 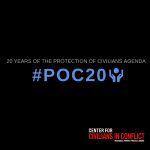 Last year, the deep cuts Member States made to the Mission, including its budget and troop levels, prompted a shift in the Mission’s strategy for protecting civilians. CIVIC’s policy brief, issued this month, outlines how these budget cuts could impact MONUSCO’s efforts to engage civilians in the DRC. MONUSCO recognizes that community engagement is a crucial part of protection civilians and has often been at the forefront of developing new community engagement tools. 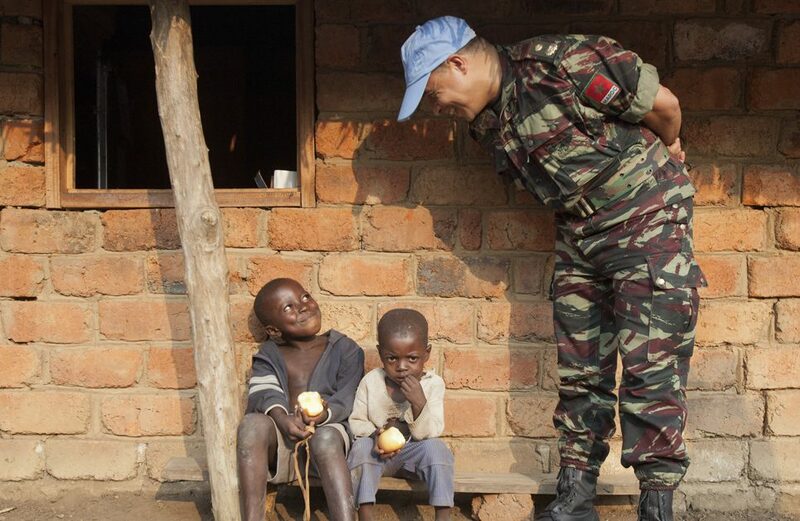 Many of MONUSCO’s tools have been adopted by other UN peacekeeping operations and have also been embedded into UN policies and guidance that apply to all peacekeeping operations with mandates to protect civilians. MONUSCO continues to employ a variety of engagement tools and practices that contribute to its mandated goals of protection and stabilization. But can MONUSCO maintain the engagement that protection requires despite cuts to resources? 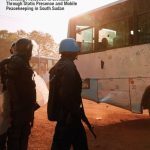 To continue responding to threats with fewer resources, MONUSCO has been reducing its static presence in many areas of the country and shifting to a model called “protection through projection.” Rather than relying on static presence, MONUSCO is attempting to implement a more mobile response to threats. 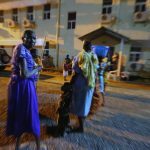 Increasingly flexible operations may have some advantages and MONUSCO’s civilian sections are attempting to adapt their community engagement tools to function within this more mobile operational model. But a more mobile approach has presented challenges to maintaining some of the good practices that the Mission has developed to engage communities—particularly, supporting local actors that contribute to protection and maintaining the strength of community alert networks, which rely on the regular presence of MONUSCO staff. The levels of conflict in DRC continue to escalate and the political crisis deepens as President Kabila remains in power beyond the end of his presidential term. In this context, the Mission’s ability to continue engaging communities, despite reduced resources, will be critical. Community engagement can help MONUSCO maintain situational awareness, contribute to community self-protection strategies, and determine where to launch mobile operations to protect civilians from threats. CIVIC’s policy brief, “Community Engagement by MONUSCO with Reduced Field Presence,” offers recommendations to MONUSCO and to the UN Secretariat to ensure that community engagement remains an effective protection tool despite the challenges that may arise to engaging communities within the new “protection through projection” model. Bénédicte is the Program Associate for Africa and Peacekeeping. She holds an LLM in Public International Law (Merit) from Queen Mary, University of London and studied Law at the Université Toulouse I-Capitole and at King’s College London, where she specialized in International Humanitarian Law, International Human Rights Law, and the interaction between armed conflict and natural resources.